Lost Amulets: Stone Garden is rated 4.6 out of 5 by 19. 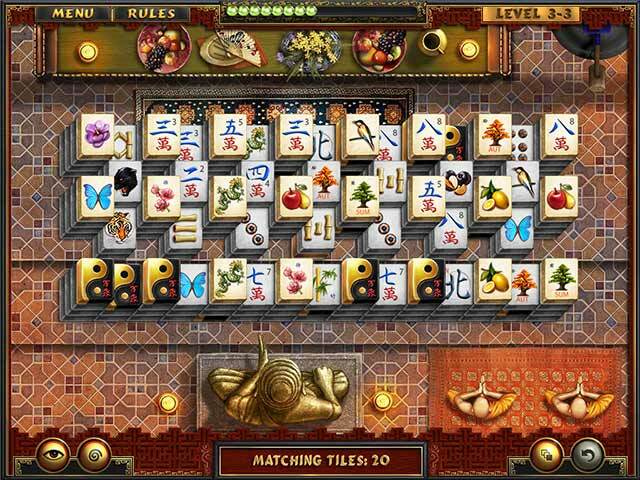 Rated 5 out of 5 by Maggie_Jean from Lost but Now Has Been Found I love Mahjong Games. I am slow at learning them well so it is nice to be able to turn the clock off and be on relax mode. Those who want to run the mouse wheel can do that too. The graphics are great. The download and installation went very smoothly. I just hate some websites that just don't have their ducks in a row when you want to "Try It or Buy It". I have been learning since 2000 with my computer by myself by reading, asking questions and observing. 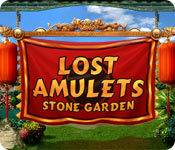 I am really enamoured with this game, "The Lost Amulets" Stone Garden. It is tricky but I like it. Rated 5 out of 5 by sasakotor from Great game Really love it, something new in this kind of games. Overall, for my opinion well deserve 5 star game. Rated 5 out of 5 by rozlyn123 from Great Fun! This a really great game. You really don't need a great deal of skill. It's just fun!!! Rated 5 out of 5 by splash1234 from Nice game. Wish they would come out with more different ones like this. The graphics are pretty and the game is different and fun, I will play this one a lot. Rated 5 out of 5 by ebec from You are all missing the best part of this game!! It goes without saying, the game itself is wondrous! However, after you finish both games - click on the first game again Wow, are you in for a treat!! Just sit back in your chair and soak up the visual parade, and listen to the beautiful music! Don't remember ever feeling so very relaxed! Rated 5 out of 5 by lloydse from Just one wish This is a lovely game set. I have just one wish for the creators--that I could have the option, after completing both full game formats--to play round after round of the delightfully different minis. I love those so much, especially the tiling and matching. As secondaries they are different yet so complimentary to the primary mah jong formats. Sigh. Maybe next time? If you like this game you may also like the predecessor. I did! Rated 5 out of 5 by Luvago from so excited I was so excited to see this new game from "Always Neat" as I love their other games. 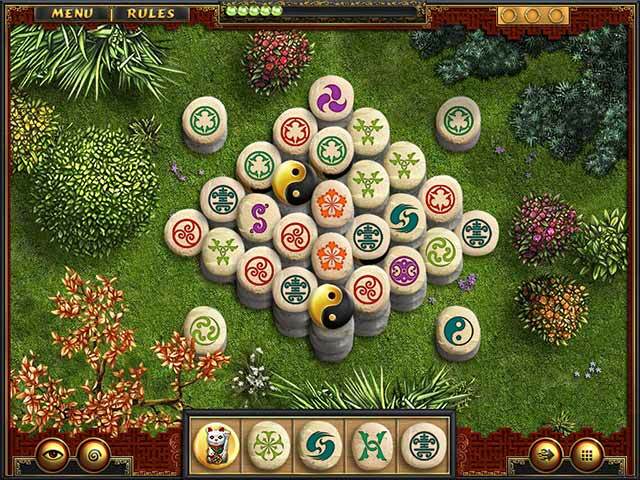 I like the Asian/Mahjong/matching theme, collecting jade pearls, the variety of mini games & the designs of the tiles, stones etc, which you can choose., also the relaxed or timed versions. 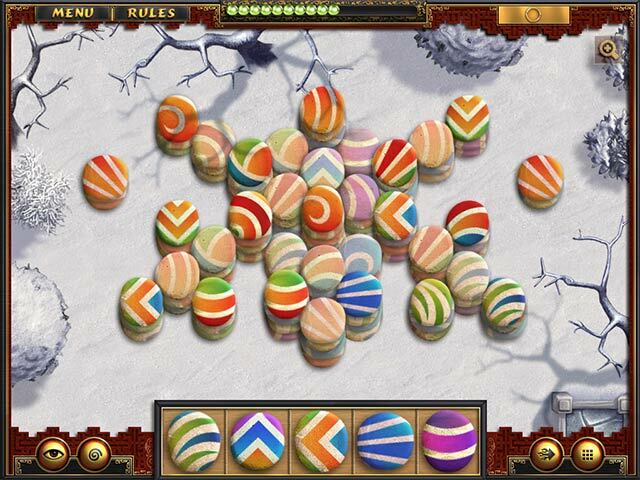 It is such a nice change from some other types of games & helps me to escape for a while. I certainly recommend this & the other 2 games, if you want lots of variety. ie memory, matching, even bingo type game etc along with mahjong option. Rated 5 out of 5 by TeachumWell from Mahjong Perfection! I'm a mahjong fan so I knew I had to try this one. Happy I did! The graphics are bright, clear and relaxing. The tiles (some of which are round stones shapes# are big and the backgrounds don't get in the way. So why the 4? Well, the sound of the closed tiles got to be annoying after awhile but that's a small, very small downer. Those having played 2 earlier similar games will feel right at home with the green pearls and power-up cost. #I think the bonus wheel was also in the earlier games but not for sure on that!) The similarity isn't a negative, but a great chance to play a type of mahjong in an already liked format. If you're new to mahjong or a long-time player you oughta give this game a try. You just might never let it go!